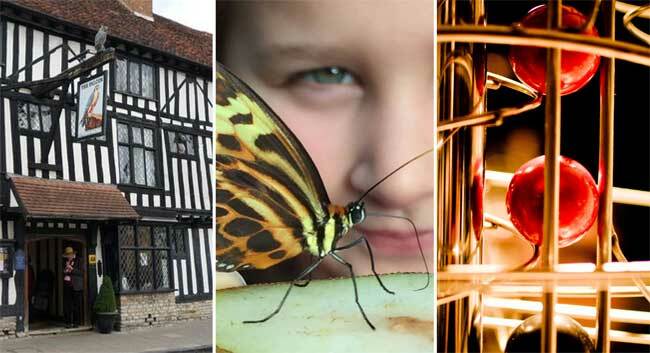 We’ve teamed up with our friends at Shakespeare’s Schoolroom & Guildhall and Stratford Butterfly Farm to offer an exclusive family ticket. 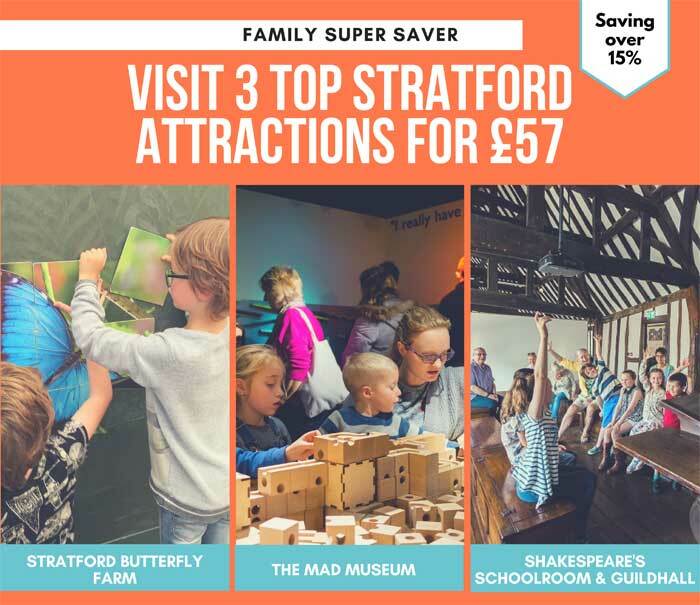 Whether you’re making plans for a weekend in Stratford upon Avon or live locally, this special discounted ticket gives you entry into three top Stratford upon Avon attractions. Joint ticket can be bought from all three venues. The joint tickets must be redeemed once at all three venues within one month of purchase. This voucher is not to be used in conjunction with any other discount (e.g. Tesco Clubcard vouchers or magazine coupons). The joint ticket is to be used by the purchaser only. From the day of purchase, the purchaser has up to one month to visit all three attractions. The purchaser must keep their ticket safe. No refunds will be made in respect of lost, destroyed or defaced tickets.